Afun-Ogidan, D. 2013. CAADP in a nutshell. GREAT Insights, Volume 3, Issue 1. December 2013 - January 2014. 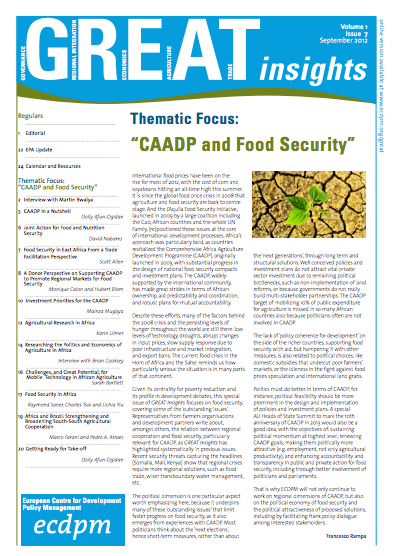 The CAADP is centred around the definition of national and regional plans (‘Compacts’ and ‘Investment Plans’), an agreement between all stakeholders (public, private, non-state actors and development partners) serving as a framework for partnerships, alliances, and dialogue to design and implement the required policy interventions and investment programmes. The formulation of national and regional investment plans is one of the most important activities to implement CAADP after the definition and signature of the Compact. To date, 36 out of 54 countries in Africa have signed the national CAADP compacts, of which 28 have investment plans valued at US$50bn and 24 have convened Business Meetings. One regional CAADP compact and investment plan has been launched in West Africa, while other regions are currently making efforts to develop and launch similar compacts. CAADP therefore is not a (donors’) programme, it is a common framework for stimulating and guiding national, regional and continental initiatives on enhanced agriculture productivity and food security which each region and country can develop and implement as preferred. The framework is an attempt at fully implementing the Paris Declaration and Accra Agenda on Aid Effectiveness, as well as at achieving the Millennium Development Goals (MDG) of halving the proportion of people living on less than a dollar a day and suffering from hunger (MDG1). 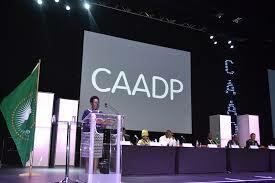 CAADP is the first ‘Africa led, Africa owned, Africa wide’ agriculture and food security initiative. The endorsement of CAADP by African heads of states renewed interest in and prioritised the continent’s agriculture agenda, as well as putting food security objectives at the fore of national, regional, continental and even global processes. With CAADP, governments and regional economic communities (RECs) are more inclined to initiate, take ownership and commit to being responsible for their own national and regional agricultural development actions. The CAADP process is organised in a way that key stakeholders meet once a year at the CAADP Partnership Platform (PP) meetings, to mutually review progress and challenges around CAADP at all levels- national, regional and continental. This is followed by a CAADP Business Meeting, half way to the next Partnership Platform meeting. In addition to these platforms, development partners who support CAADP come together through the CAADP Development Partners Task Team (DPTT), to promote dialogue, shared learning and harmonisation among development partners on their support to African CAADP process and institutions. The DPTT operates on the basis of a concrete work plan and exchanges information through regular phone conference meetings. Traction around the regional dimension of CAADP has gradually increased. There is widespread consensus in most African regions that the value of regional CAADP lies in strategic regional action and investments that individual countries, acting alone, cannot achieve or afford. 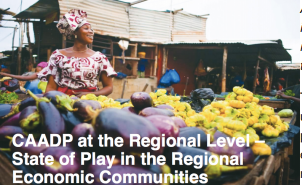 Most stakeholders concur that regional compacts would serve to accelerate individual country agricultural growth by enabling them to benefit from regional spillovers and economies of scale in technology, human and policy development, as well as in trade and investment. 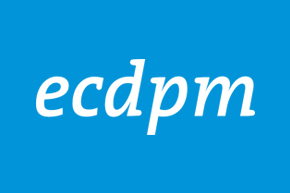 Currently, processes are underway to launch compacts in the Intergovernmental Authority on Development (IGAD), Common Market for Eastern and Southern Africa (COMESA), East African Community (EAC) and Economic Community of Central African States (ECCAS). 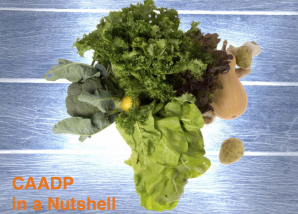 As CAADP has now reached its 10-year mark, the priority for African stakeholders is to sustain the momentum by focusing on policy and investment decisions that will help the continent transform its agriculture sector and ensure food security. The next stage of CAADP seeks to move away from the process of developing compacts towards mobilising concrete sustainable investments for the priorities identified in these compacts. (3) In this respect, and in order to strengthen the performance and competitiveness of the continent’s agriculture sector, the focus will be on increasing public sector budgets for agriculture and exploring partnerships with the private sector, beyond development finance, for countries that are now at the investment stage. At the regional level, trilateral cooperation (development partners, governments and private sector) is also seen as a way to finance cross-border agricultural development initiatives and contribute to overall regional integration and regional food security. Dolly Afun-Ogidan is a former Policy Officer for the Food Security Programme at ECDPM. She currently works at African Development Bank Group. Many thanks to Ian Mashingaidze at FANRPAN for providing additional information and updates to the original article.